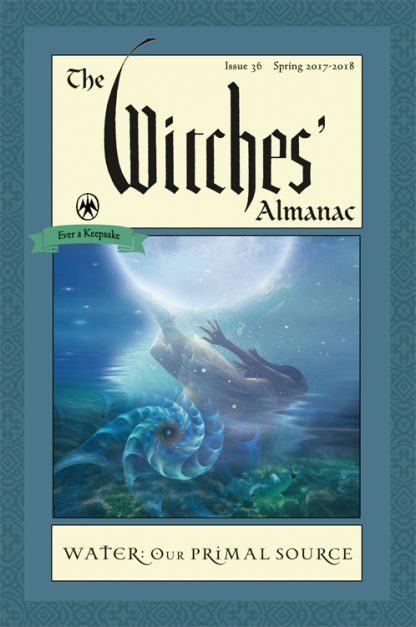 Founded in 1971 by Elizabeth Pepper, the art director of Gourmet magazine for many years, The Witches� Almanac is a witty, literate, and sophisticated publication that appeals to general readers as well as hard-core Wiccans. At one level, it is a pop reference that will fascinate anyone interested in folklore, mythology, and culture, but at another, it is the most sophisticated and wide-ranging annual guide available today for the mystical enthusiast. Modeled after the Old Farmers� Almanac, it includes information related to the annual Moon calendar (weather forecasts and horoscopes) as well as legends, rituals, herbal secrets, mystic incantations, interviews, and many a curious tale of good and evil. Although it is an annual publication, only about 15 percent of the content is specific to the date range of each issue.